The harsh and freezing winter is almost over. The sun is shining more and more, but the weather is still not quite warm. These periods of the year are the hardest when it comes to deciding what to wear. It is too warm for wearing your winter coat, yet still too cold for a summer jacket. So, what would be perfect is to have having something warm to put over your shoulders that will fight away the cold and remove it easily when the sun comes out, like a poncho, a cape or a shawl. If you don’t have one already, here is your chance to knit or crochet a lovely one for yourself. 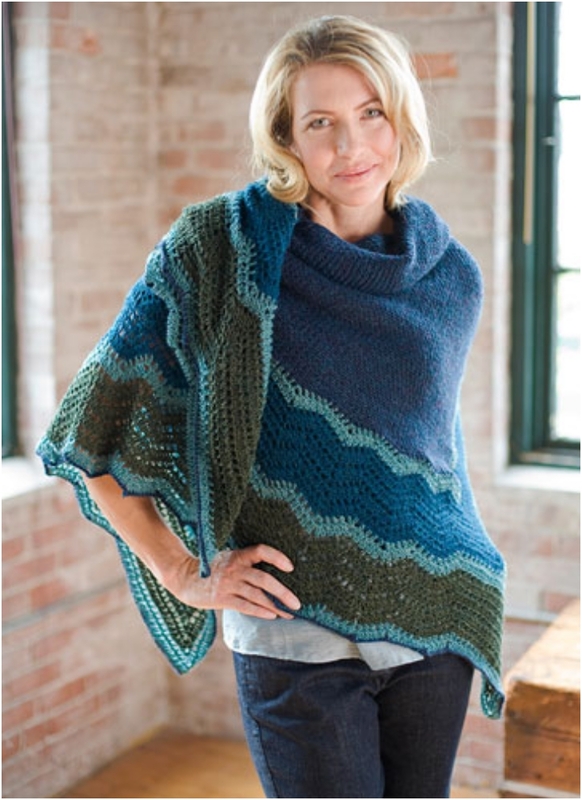 So take out your knitting or crocheting needles and with our top 10 cozy shrugs you can make your very own protection against the winter-end chills. Suitable for a lazy night in or for a daily walk in the park this light, yet warm zen jacket is perfect for all year round. The body of te jacket is diamond shaped and the front hangs slightly longer then the back which makes it elegant, yet casual. 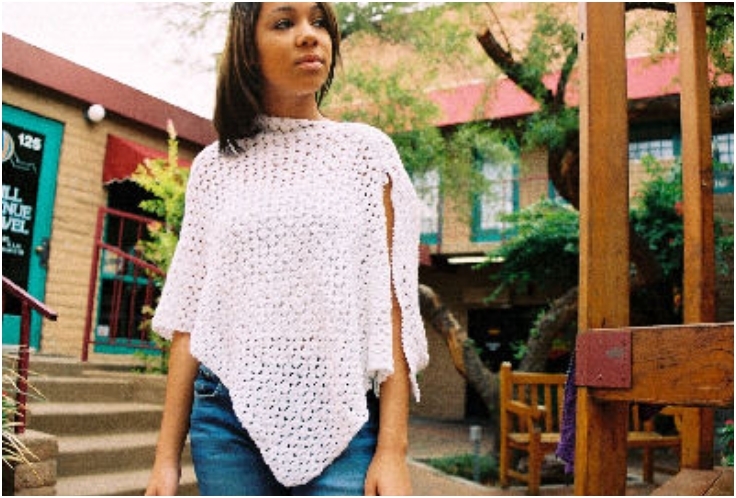 This lovely crocheted poncho will make you feel ready for fun, but with the small touches of rhinestones and zipper at the shoulder, chic and polished at the same time. All you need are 4 balls of yarn a G hook and some time. 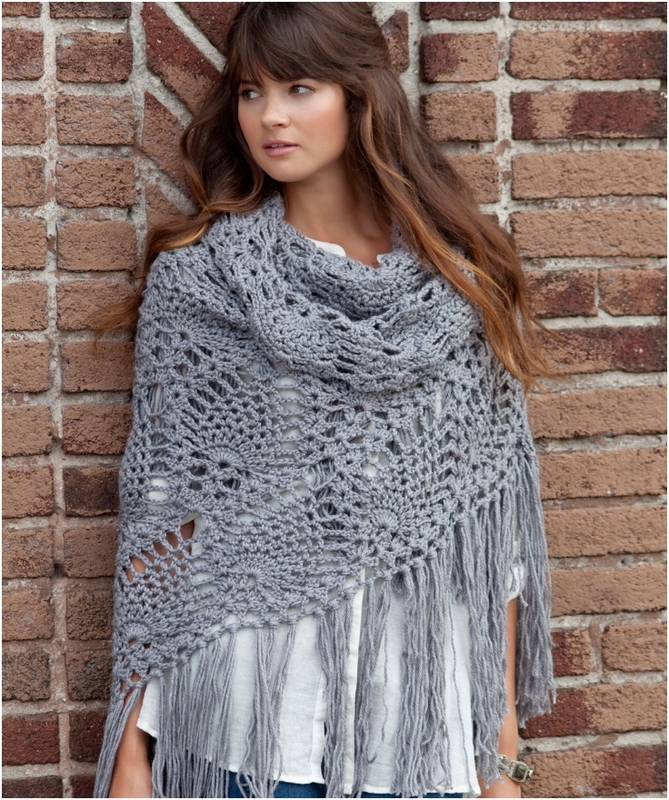 A tightly knit shawl with plain central panel and gracefully waving lace edges that will surely find a place in your wardrobe as a luxurious wrap-around shawl or as a soft and warm lap throw for those chilly summer night. 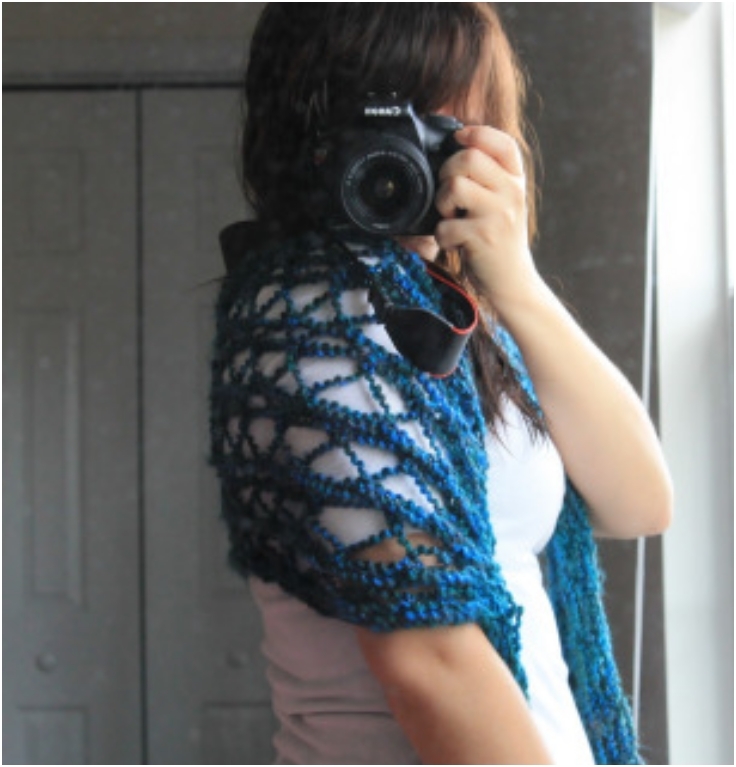 This peek hole shawl may not be very effective in keeping you very warm, but it is quite easy to knit and it is enough to make a neat shawl for throwing over your shoulder in summer and is one hell of a winter scarf. This soft shoulder shrug will make a perfect addition to a cocktail dress and you can still wear it with plain T-shirt and jeans. 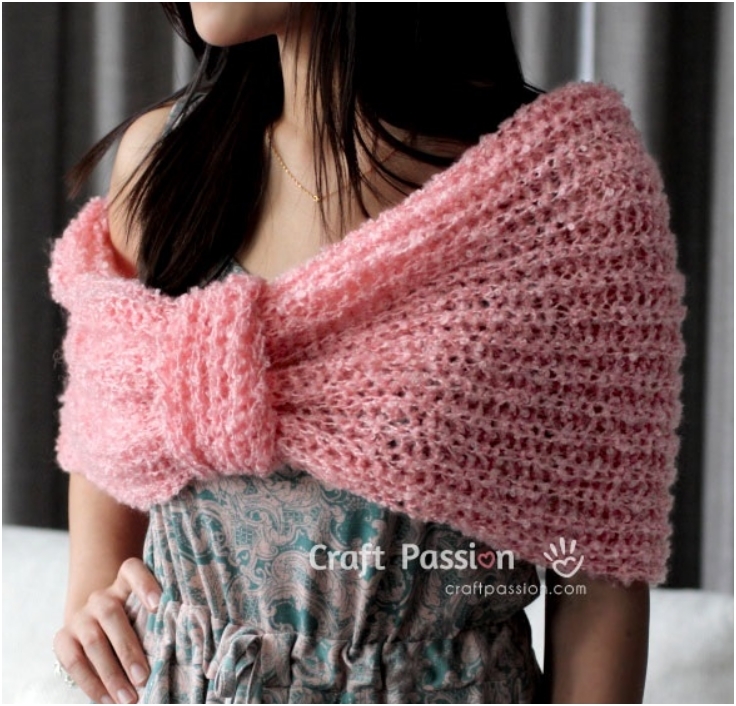 This classy shoulder shrug is so easy to make that before you know it, you’ll have one crocheted in every color and for every occasion. With this fluffy knitted cowl scarf you will fell lovely and like you’re being embraced by clouds. The knitting pattern is very easy and simple, but with the band te shawl gets a playful bow-tie look that you can wear in many different styles. Thanks to this super chunky knit cape, you will be nice and warm all night long without the need for your jacket. 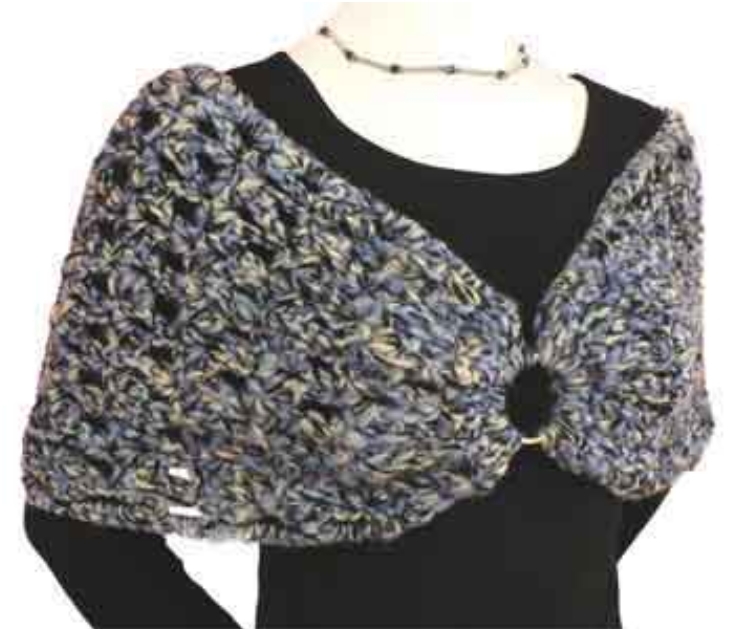 What makes this cape exciting is the handspun novelty yarn used and the buttons as a nice detail. Choosing what to wear over a light summer dress is always a problem, but with this fancy shawl you will never have to choose again. This pattern is casual enough for over every-day clothes, yet classy enough for a romantic night out. 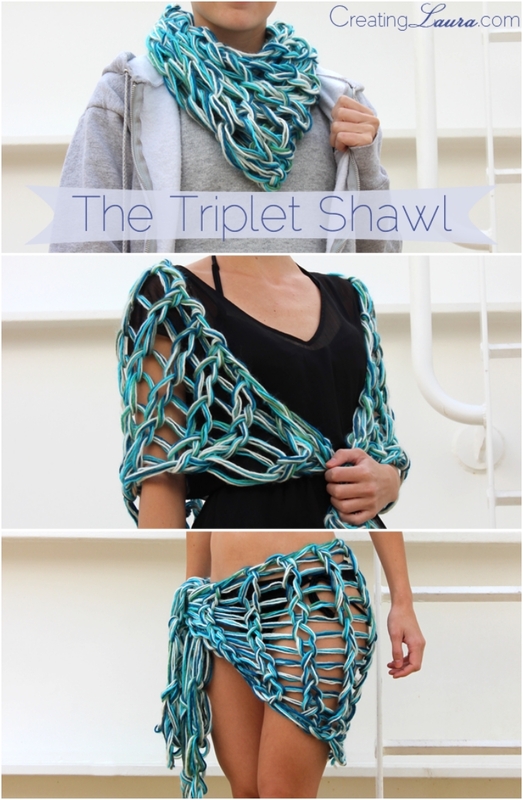 Here is a challenge for all who love knitting, to make a shawl without needles. For this project you use your arms as knitting needles, and since all arms and forearms are different, the sizeof the holes may vary, but the end result will be fabulous. The pineapple pattern may remind you of some old doilies, but you’ve probably never seen it in this sidewalk shawl edition. The tassels at the edge gives this elegant piece just the right amount of whimsy to become your go-to clothing accessory. How do we find the pattern for the Sidewalk Shawl, that’s supposed to be here? Could you please forward a valid url or perhaps the pdf? Thank you.